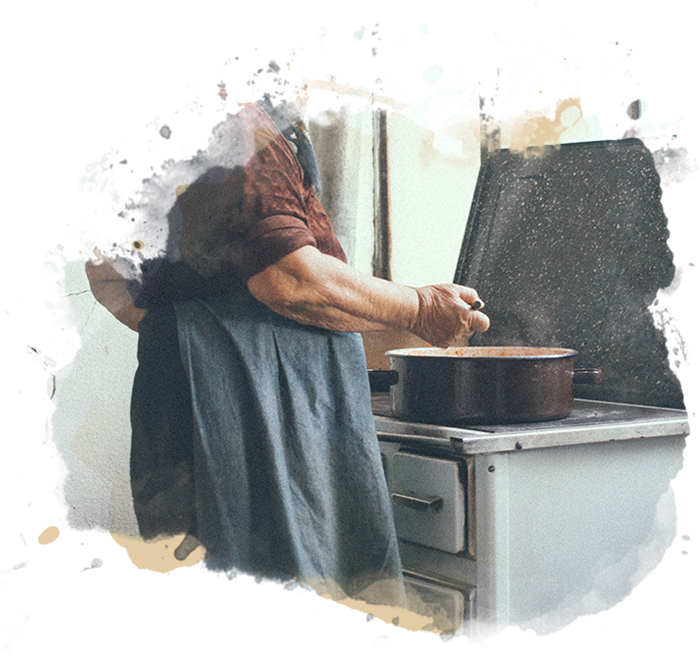 Our story began in the sunlit kitchens of the Mediterranean, where Hommus is spelled with an "O". Cedar’s founders Abe & Layla Hanna lovingly perfected the way we make Hommus there—in the old world. They made it the traditional way, with pure ingredients and a simple process. Our family got to work. When we first got to the States, we made batch after batch. Always tasting, always perfecting, and always sharing. Making this food was already our family's passion; getting it on shelves now became our mission. We packaged and delivered our first orders locally. We started feeding New England. The rest of America was soon to follow. 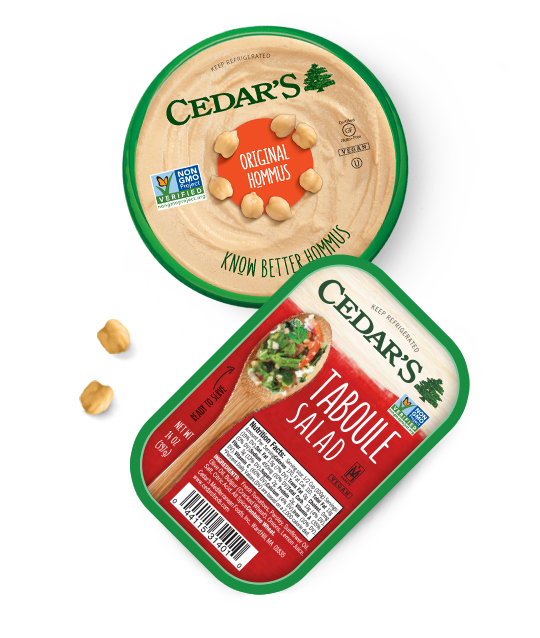 Our Hommus and Taboule Salad were the first Cedar's products to be welcomed into homes across the nation. Once we were leading the charge of Mediterranean food in the United States, it was time to experiment. We infused different combinations of spices and veggies until we came up with new and exciting flavors. We went beyond Hommus to bring you other delicious foods, always with an eye on quality and freshness. 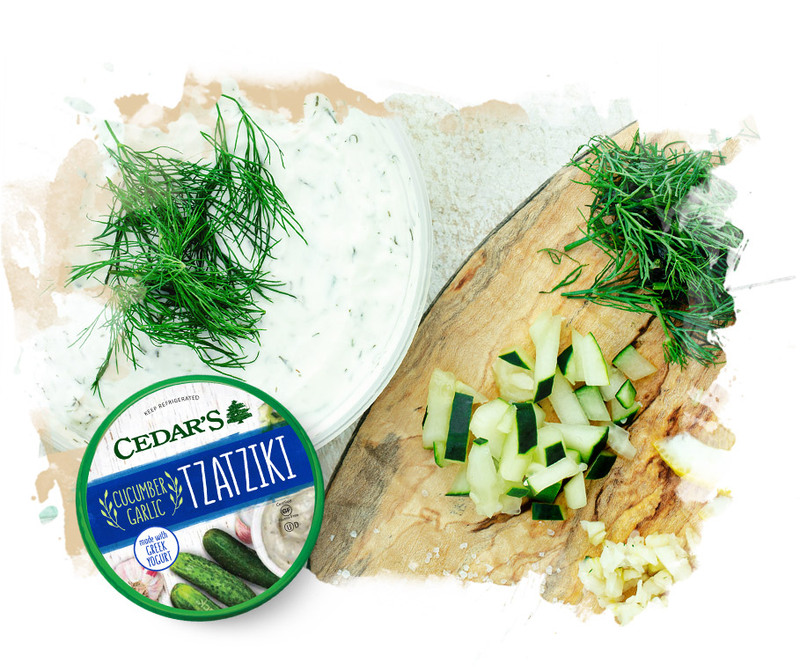 We've since expanded to our fresh Mediterranean Salads, Greek yogurt-based Dips, Salsa, Pita Chips, Wraps and—of course—our legendary Tzatziki. Through the years we've refined our process, making it possible to serve more and more customers without ever losing the purity and flavor that those first batches contained. 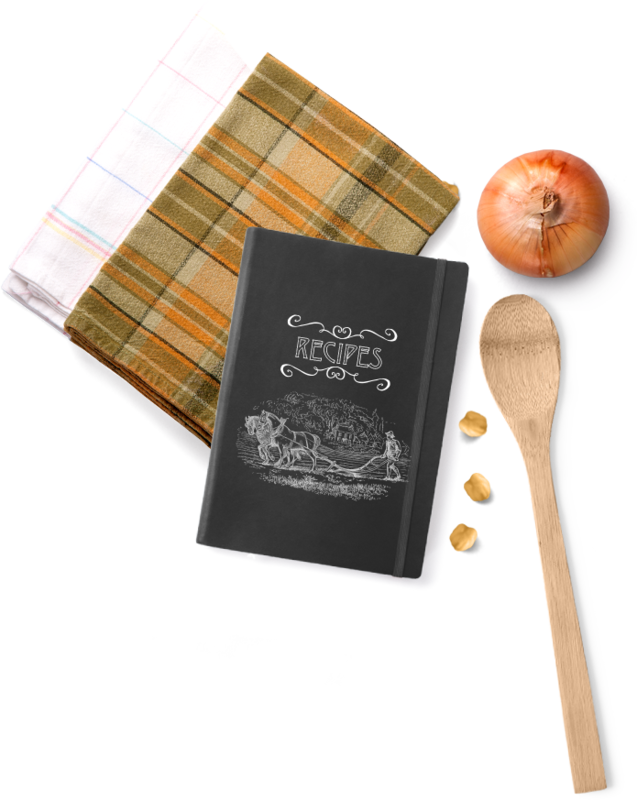 And, though we now have dozens of products all over the country, part of us will always be in those kitchens cooking up our classic family recipe. Cedar’s chefs have life-long expertise in Mediterranean foods. Their unique ability to create authentic recipes like those found on the Mediterranean seacoast is what sets us apart. With every bite you take, you can be sure that you are tasting a small piece of the world’s finest Mediterranean food. It all starts with the Hommus. 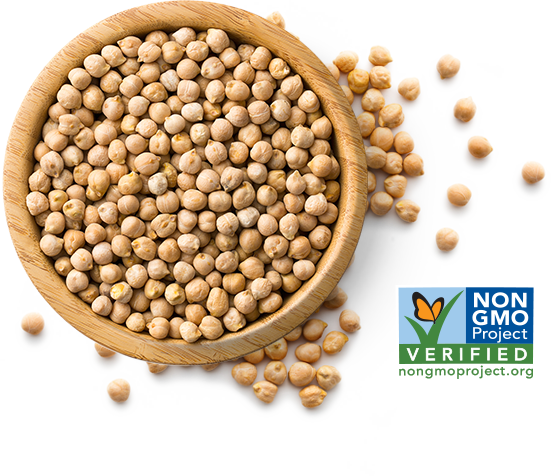 We pick the finest non-GMO, vine-dried garbanzo beans. We soak the garbs in pure, crystal clear water. Some guys boil. We steam. We pride ourselves on the smoothness of our Hommus. 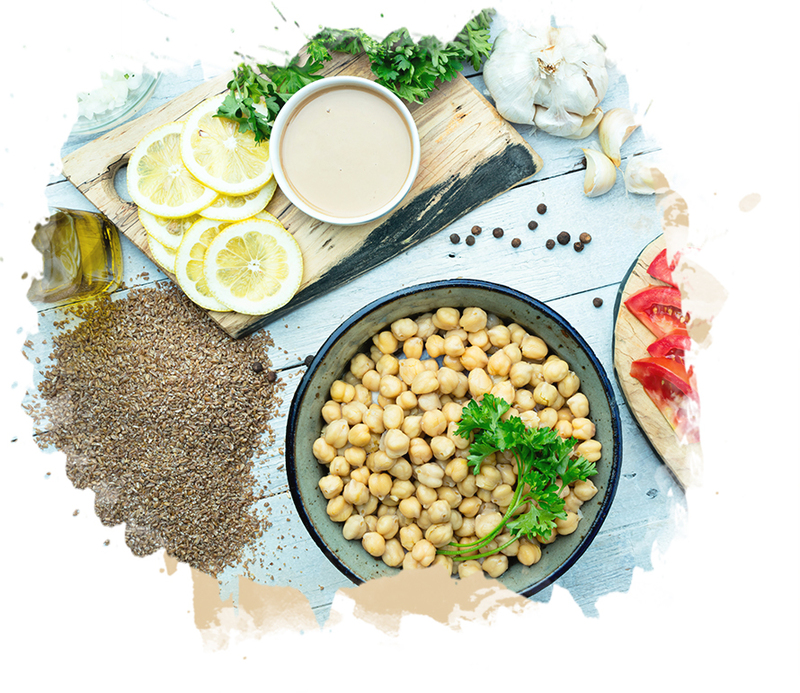 Our rich, non-GMO tahini give our Hommus its signature taste. 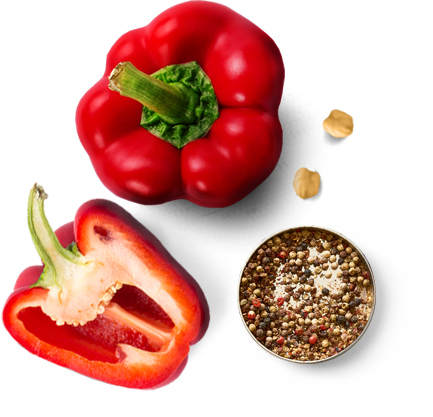 All of our flavors use the highest quality veggies and spices. Cedar’s believes in creating the most extraordinary Mediterranean food. Every recipe we make is hand-crafted with the same passion as the very first batch. Mediterranean foods should be made just as they are in the tiny villages that made them famous—with simple, fresh, whole ingredients. Simple and pure. Pure and simple. * We keep it simple. 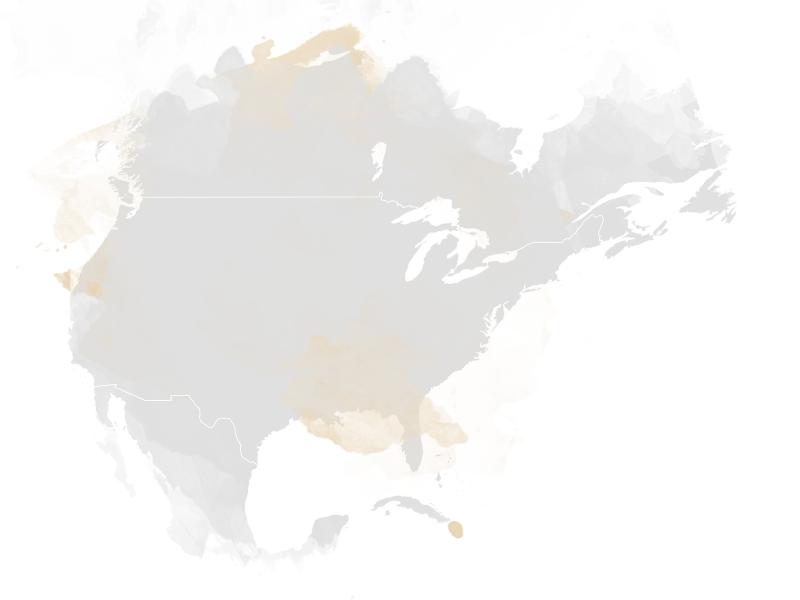 Our products use Project Non-GMO Verified Citric Acid. 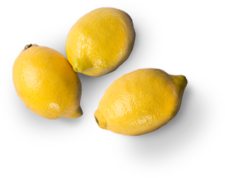 A lot of people get nervous when they hear “acid,” but the truth is that Citric Acid is found in significant quantities in lemon and lime juice. We care as much about the high quality of this ingredient as everything else in our hommus. For our Hommus, it starts with the beans. Our non-GMO garbanzos are lovingly grown and vine-dried. First soaked then steam-cooked in cool, crystal clear New England waters. We know that better garbs means better hommus. 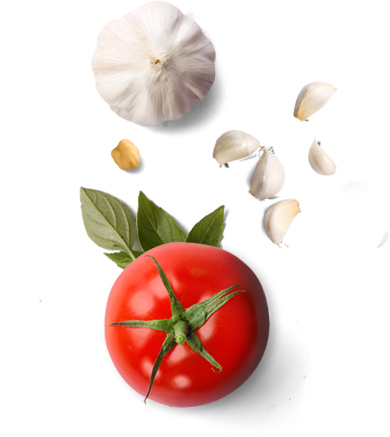 Our commitment to quality extends to the rest of the ingredients. 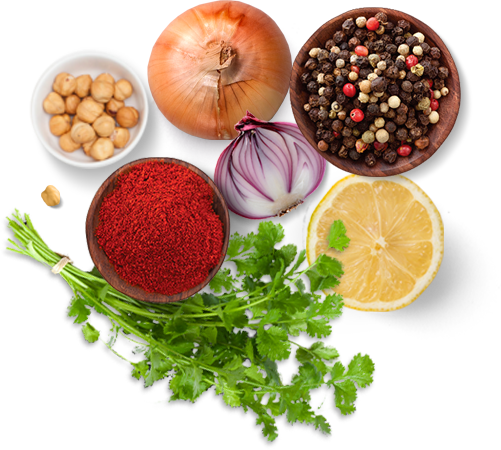 We also use only the richest tahini, the tastiest veggies, and the choicest spices from around the globe. We personally taste test every batch to ensure it’s up to our—and your—standards. 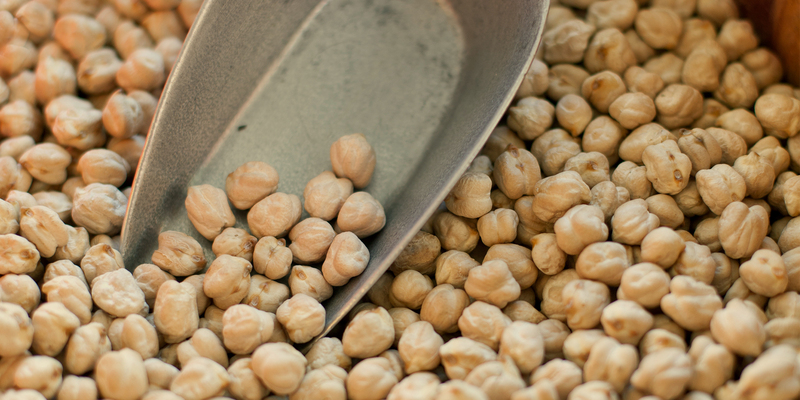 The chickpeas are the start, but every component does its part to create the perfect balance of flavors. We’ve told you about how we make it, now check out what we make with it! 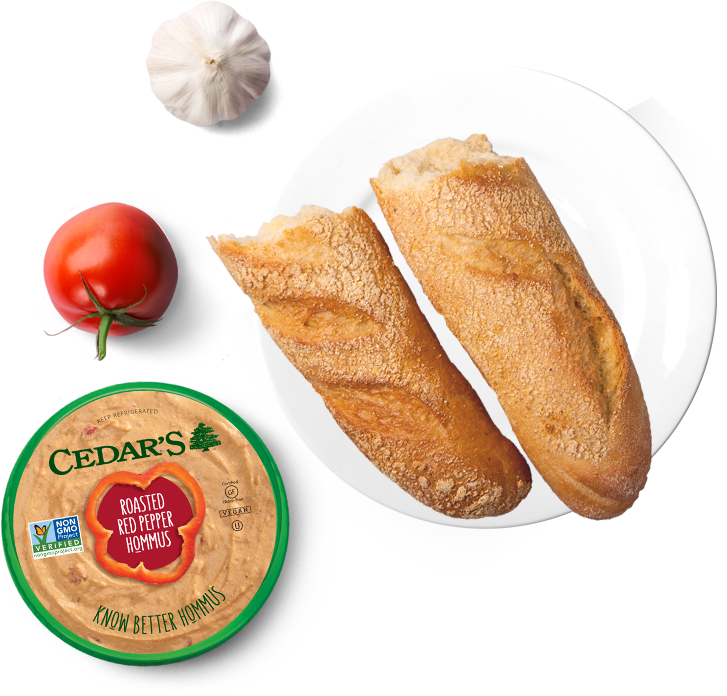 We’ve got recipes and serving suggestions for your favorite Cedar’s products. We can’t wait to share our love for Hommus and Mediterranean foods with you. So, share your email with us and we’ll give you a coupon. 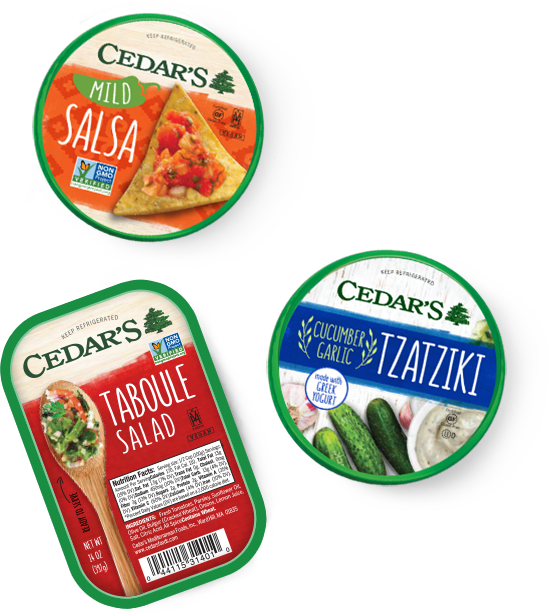 By checking this box you agree to receive communications from Cedar's Mediterranean Foods, Inc.
We’ve been making amazing Hommus for a long time. We make other great foods too. 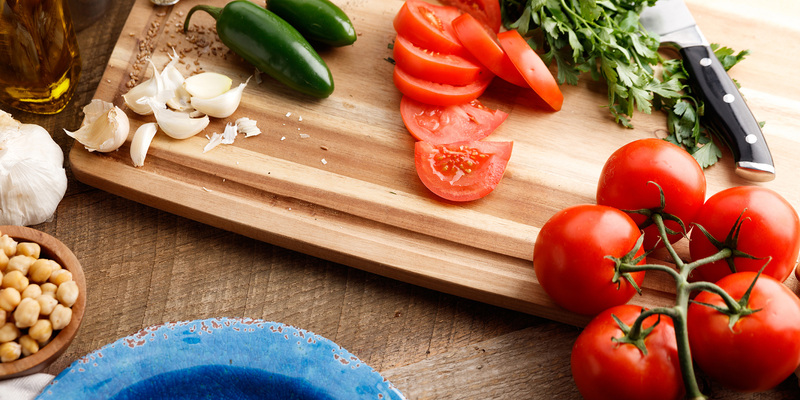 Our secret is simple: a clean process and quality ingredients. Know what you’re eating. Know Better Hommus. Have a question, suggestion or simply want to say hello? 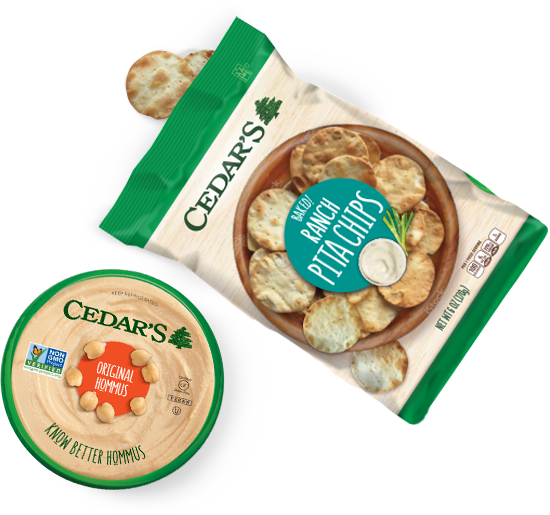 © 2019 CEDAR’S MEDITERRANEAN FOODS, INC. ALL RIGHTS RESERVED.